As Sigmund Freud said: “people are strong as long as they stand for a strong idea.” The key to the success of a person who is ready to open hisher own business will be a competently developed marketing plan and a successfully prepared business presentation for investors. After the development of the project, it is necessary to carefully work out the presentation, on the success of which the future of the enterprise will depend, because any idea needs financing. To cope with this objective successfully, we offer you a premade professional Business PowerPoint template. If you have a unique idea and want to create a business, you need a presentation for investors. Presentation is a speech of a person to a certain audience with the purpose of presenting specific ideas, information, showing a personal vision of the presented issue. On the business presentation, an overview of the business start-up marketing plan is made, the purpose of which is to attract the investor(s) to the business. as well as opportunities for obtaining additional profit in the future, the development of the business and personal brand. Your speech with business startup presentation should be short-term, on average 20-25 minutes. For this period of time, it is necessary to make everything for a successful result, to present yourself as a professional and make such an offer of cooperation from which the potential partner will not be able to refuse. All the priority features of the partnership should be stated logically and clearly so that the investor has at least minimum questions. It is important that the potential entrepreneur himselfherself believes in hisher own business plan and realistically assesses prospects. Only in this case it is possible to convince the investor in the profitability of future business. Preparing a business presentation begins with the formation of a structure and sketches on paper. A competent structure is created in special software, the classic version is PowerPoint. 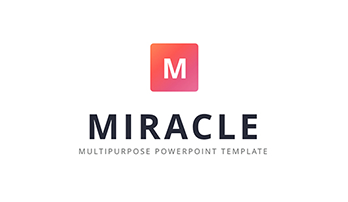 To pass this stage quicker, use Business PowerPoint template. Our ready-made slide will simplify the process of presentation creation and save time. Pay special attention to the item “Summary” of your business plan. It is the first assistant in the development of the product’s presentation. Business name and its description (product / service). Selected niche, target audience, competitors in accordance with geography (targeting). Development of business’s marketing strategy. The financial cost of starting a project. Staff (a team of specialists to implement the idea). Volumes of costs, for what purposes and tasks. Terms of cooperation, the benefits of the investor, the timing of repayment. Successful sale of benefits to the client is a pledge of a successful presentation, as a result – investment of the project. Briefly, but capaciously list your strengths as an ideological mastermind, competent leader and organizer. You have to show that you can not only come up with something sensible, but also use business communications for successful negotiations. The future businessman has the opportunity to demonstrate presentation skill in practice in the process of communication with the investor. In addition, you have to talk about a team of specialists who will be engaged in the implementation of the idea, how the business process will be built and their interaction. It is important for investors to know who will hold the company and how competent are the leaders of the future enterprise. Making a business plan that includes powerpoint donut chart for investors is a required condition for successful work. As previously mentioned, the presentation should be created in special software. Its design tools should allow making the layout of the presentation of the company understandable and visual. The format of a computer ready-made template makes it possible to use video in the business presentation, create infographics and much more. It should be noted that the abuse of effects and specific design can only distract listeners from information. Everything should be very clear and balanced. 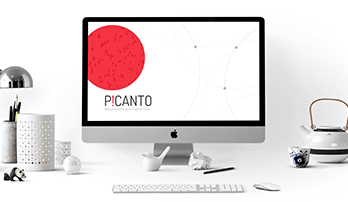 Developing a presentation by graphic designers will create a powerful tool for attracting investors, because the perfect combination of relevant information and effective visualization will increase the impact on the target audience. An efficient business startup presentation is a capacious and short text, illustrated with infographics, images, and videos, which helps to impress investors and visualizes the idea. The best technique for implementing your presentation is practice and self-confidence. Therefore, before speech, you should practice at least with your colleagues and relatives, in advance, to cope with your fears and insecurities – these are the enemies of the startup. The sale of a new product, service is associated with the presentation of your idea or work plan gantt chart template. Its buyer (and this is the role of the investor) should be interested in the product offered. Heshe will do it only if the seller (speaker) himselfherself is confident in the quality and success of the business and will be able to prove it visually. Therefore, the technology of presentation is partly comparable with the technique of selling a product or service, but in this case the person sells idea. A good idea, a well-written and structured presentation is not the only key to success. Even the most outstanding and genius projects can go unnoticed if they are presented poorly and non-professionally. Not the least role is played by the art of public speaking. To become a good speaker, in addition to psychological preparation and the use of a perfect template that includes bar chart presentation, it is necessary to get acquainted with the recommendations of experts in this direction (professional business coaches and other well-known speakers), to adopt techniques that politicians and actors use with a well-established skill in public speaking. Speak clearly, slowly and loud enough so that those who are far away from you will be able to hear you. During the presentation, do not be monotonous, change the tone of the voice, the volume and timbre, and emphasize important points. Where it is necessary, use small breaks for 20-30 seconds. Use keywords that will interest investors (for each industry they have their own, among the universal – profit, profitability, efficiency, development, and others). The development and implementation of a business plan as a presentation for investors and partners consists of a set of the above-mentioned points. Step by step, it is necessary to implement each point, and as a result, there will be both self-confidence, and excellent presentation, and negotiation skills. Work plan gantt chart template will serve you as a good assistant. Your business ideas deserve to be heard and well received. An excellent PowerPoint template offers slide design options, with which you can easily create a presentation. Tell the story of your startup, outline the picture of gaining market share, and illustrate the progressive steps of your company. Then ask a clear question about specific investments. 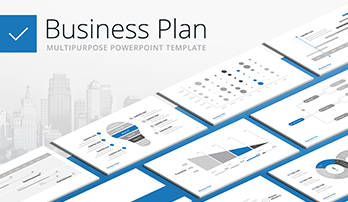 Business PowerPoint template is a modern PowerPoint template with an appropriate design made for a digital start-up. Its design is made in modern minimalistic style that it so popular nowadays. It is packed with icons, hundreds of slides, device layouts, compelling visualizations, and elegant slides connections. You can adapt the template to the needs of your project and make a winning move! 100 unique slides that comprise the template are supported by various versions of PowerPoint software. This template is equipped with all modern built-in tools and useful elements that allow working with it conveniently and quickly. Here, you’ll find such useful tools as timelines, organization chart powerpoint, pricing tables, PEST analysis slides, portfolio, maps, infinity loop, lots of diagrams and various charts, contact information slide, powerpoint donut chart. Such combination of the slides allows presenting of absolutely any type of information and data, statistics and figures. This template is well-structured and professionally organized. It is easy to logically allocate information on the slide so that the question, idea will be presented coherently. The slides follow each other allowing you to systematize data and consistently develop your thoughts. A great number of infographics allows information visualizing. Thus, the idea is perceived better and the audience doesn’t get bored. Pie chart presentation as well as other diagrams is used to help you to diversify your project, make data presentation clearer and vivid. This template will become your guide and support while speaking. If you miss the idea, you can always look at the slide and remind the next point. The use of a premade template that includes infinity loop slide and many others allows you to simplify the process of project creation and significantly save time. The use of these premade slides allows avoiding of typical mistakes that can be often made by those specialists who create templates on their own. High quality. It is not a rare case when some speakers face unexpected inconveniences and difficulties with their presentations displaying their projects. Visual aid can let down if the template is of poor quality. To avoid such unpleasant cases that are able to spoil the impression of the whole presentation choose high-quality templates with bar chart presentation as this one. By the way, on our site, all slides are of excellent quality. Working with this template, you will feel confident and safe. The slides won’t have any visible defects such as blurred slides or visible pixels. A high quality of your visual material is the evidence of your professionalism. Built-in tools. Extended possibilities of working with the pie chart presentation are available due to the use of vector elements. Any built-in tool (shape, colors, size) can be edited in two clicks. Printable slides. A4 aspect ratio is available. These slides are ready for printing. It is quite convenient as you will have an opportunity to provide the handouts of your project. Moreover, the slides perfectly suit folders. A multipurpose template. This template that includes organization chart powerpoint and other important schemes can be used not only for the presentation of startups. It is a perfect tool for any marketing report, business proposals, ideas, and other projects. Any topic or question can be presented professionally and thoroughly with this template. It is a professional template that is able to demonstrate your expertise, create a good reputation, and impress the listeners (including investors). An easy-to-use ready-made slides. This slide will be easy to use for any user. Even the beginners cope with it without difficulties. As it is a ready-made template, you’ll be able to create presentations in a few minutes, therefore, saving time and simplifying work. All you have to do is to insert necessary data, figures, information. With these slides, you can demonstrate your presentation skill and improve your reputation among colleagues and your competitors.